Saros was an organisation formed by people working with the Kabbalah and other traditions in the late 1970s. It operated a residential centre in Buxton, Derbyshire for a while, running courses for members and the general public. After leaving Buxton in 1985, Saros continued to operate until 2001, giving rise to a number of other organisations. The following is a brief history of Saros, told from my perspective as a member. In the summer of 1978 Glyn Davies led a two-week residential course at Playford in Suffolk. About twenty five people attended the course, most of them in their twenties, and some accompanied by young children. Many were members of Kabbalah groups that had been meeting in London, Cambridge, Manchester and Oxford, and some were involved in other traditions such as Buddhism, Sufism, and the work of Gurdjieff and Ouspensky. Much of the course involved work on oneself: observing and pushing the boundaries of how we operate as human beings, whether it was studying a single leaf for ten minutes, observing the negative emotions that arise while cleaning floors, or repeatedly painting circles, squares and triangles. Many of the participants gave talks about their own areas of expertise. We sat in meditation, we worked together on various projects, and we talked about philosophy and our spiritual path. We discussed the need to do spiritual work for oneself and for the group but also for the work itself; the need for constant reformulation of traditional teachings so that they remain relevant for each generation. In other words, the perpetuation of knowledge. The idea of forming a foundation of some kind to take these ideas forward had been circulating for a while, and we discussed it some more on the course. We came up with a name for the foundation: Saros – which comes from the Babylonian name for a time cycle of 3600 years, and is also used for the 18.6 year interval between repetitions of solar and lunar eclipses. Shortly after the course finished, we began to look around for premises for a Saros Centre that could be used for study, teaching, retreats and courses. The location finally chosen was Hardwick Hall in Buxton. The building was owned by the Royal British Legion, and we leased the top two floors. The lower floor contained an entrance hall, a kitchen, a few bedrooms and two large rooms: the main hall and a sitting room. The top floor contained more bedrooms and a bathroom. There was also a separate room with a bay window looking out over the hills around Buxton which was used as a meditation room. Hardwick Hall, Buxton is the building at the back in this photo. The room at the top left was the meditation room. In the summer of 1979 we moved in, finding furniture and fittings from all over, and cleaning, painting and decorating. The work we did at the centre was done as work on ourselves. For example when sanding down the paint work we tried to be ‘present’ all the time, aware of what we were doing rather than talking or day-dreaming. To help with this we would interrupt habitual behaviour, perhaps sanding down paintwork very slowly or very fast, and then someone might shout “STOP!” and we would freeze for a moment, checking our bodily awareness. In order to run the centre an organisation was needed, and so the Saros Association was formed, run by a committee elected by the members. At its peak Saros had about a hundred members. Courses at the centre began in August 1979, and continued until August 1985. Most were open to the general public, and covered a wide variety of topics such as astrology, Buddhism, Kabbalah, Meditation, Sacred Geometry, Tarot, Turning Dance, cosmology and philosophy. Usually each year there would also be a two-week intensive course intended for those working in groups. Some activities extended to the local community. 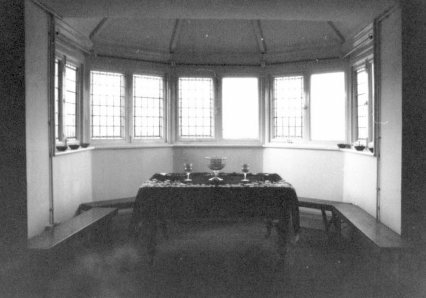 For example in the summer of 1980, members of Saros mounted a performance of turning dance under the dome of the Royal Devonshire Hospital in Buxton. The Saros Centre was also made available to other sympathetic organisations to conduct courses. During the time at Buxton, Saros flowered and gave rise to a number of different affiliated organisations dealing with specialised paths such as astrology, meditation, and movements, each embodying a particular aspect of the tradition. Also at the core of Saros was the development of its philosophy and group work methods. 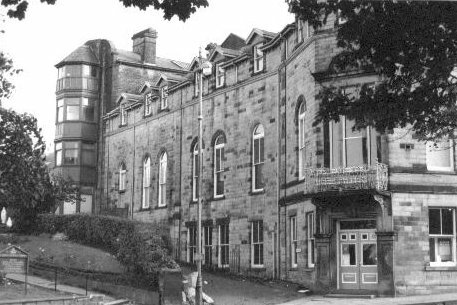 After the Saros Centre in Buxton closed in 1985, this work continued to develop over the next sixteen years with groups and courses being organised around the country. One of the new tasks that we took on in this period was hosting public seminars designed to extend the scale of enquiry into crucial topics. The first seminar, called Worlds Without End? was held in 1988, and asked big questions about religion in the future. Other topics covered in the following decade included education, ecology, death and disease. Saros finally completed its task as an organisation in December 2001, although some of the affiliated organisations continue to operate today, and of course, many of its members are still involved in the work. The Saros website has a selection of articles and links to some of the other organisations involved with Saros. The Book of Jubilee summarises Saros philosophy in a compact manner.